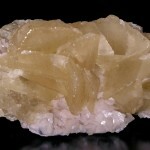 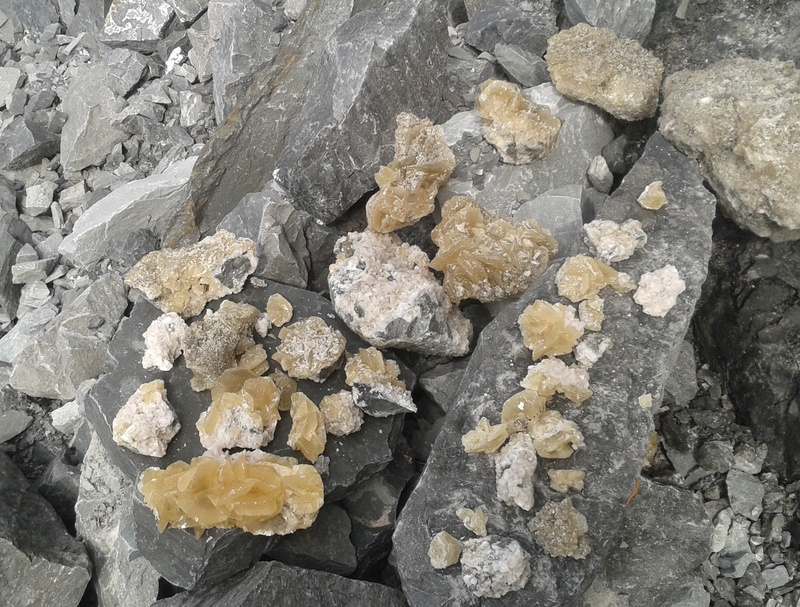 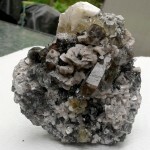 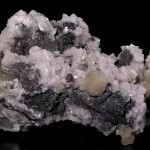 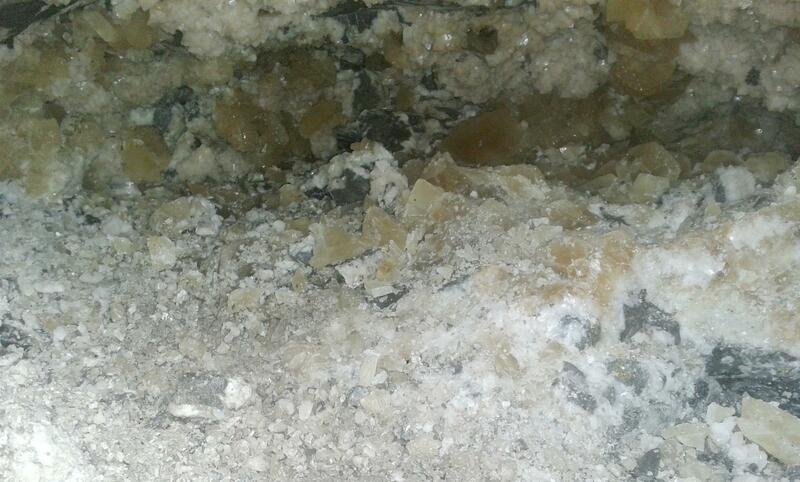 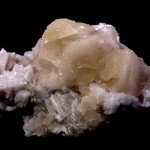 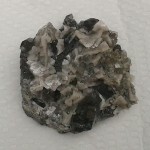 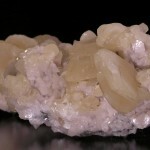 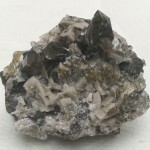 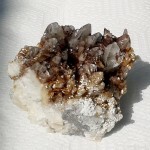 The dolomitic limestones or dolostones of the Beekmantown Group of Lower Ordovician age are prolific source of crystallized minerals, especially Dolomite, Calcite and Quartz. 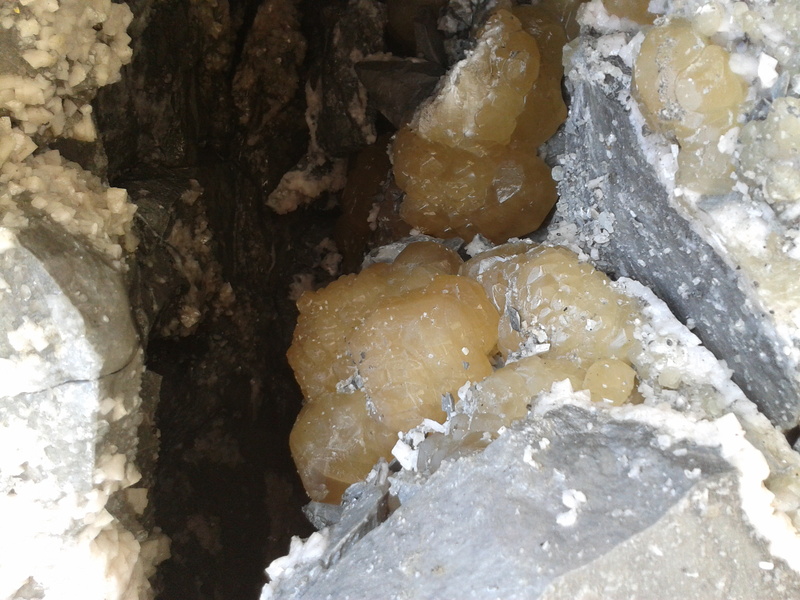 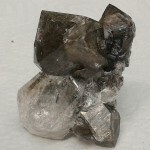 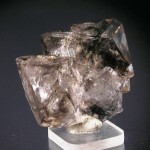 The presence of cavities lined with crystals was reported as early as 1863 by Sir William Logan in his Geology of Canada. 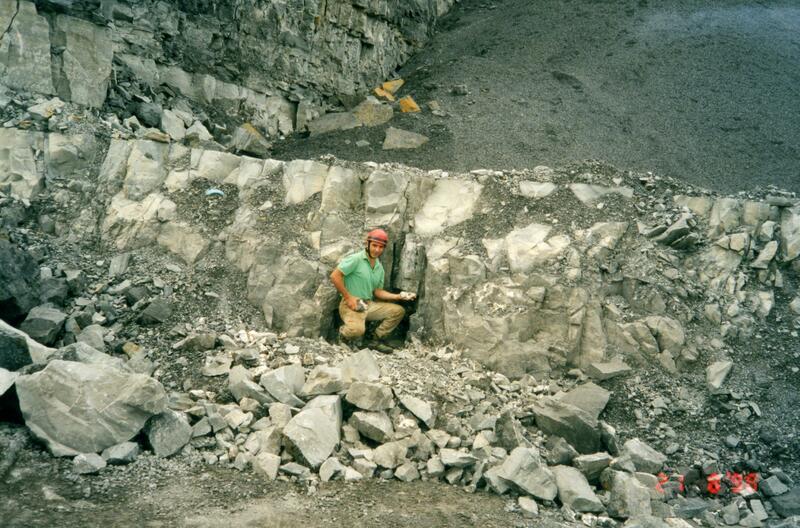 In Quebec, the Beekmantown loclities Group is represented by the Beauharnois Formation which is exposed in a number of quarries around the Island of Montreal. 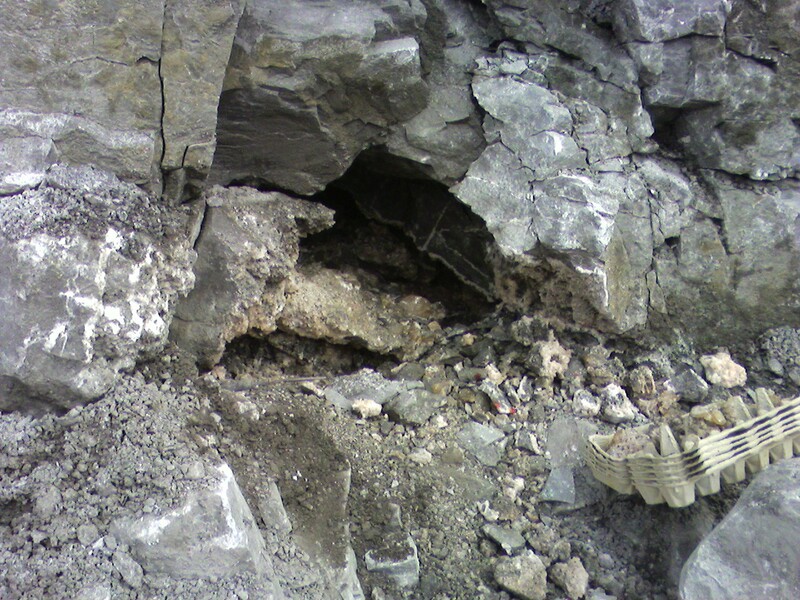 Cavities producing collector-quality specimens are generally restricted to single horizons no more than 2 meters in thickness. 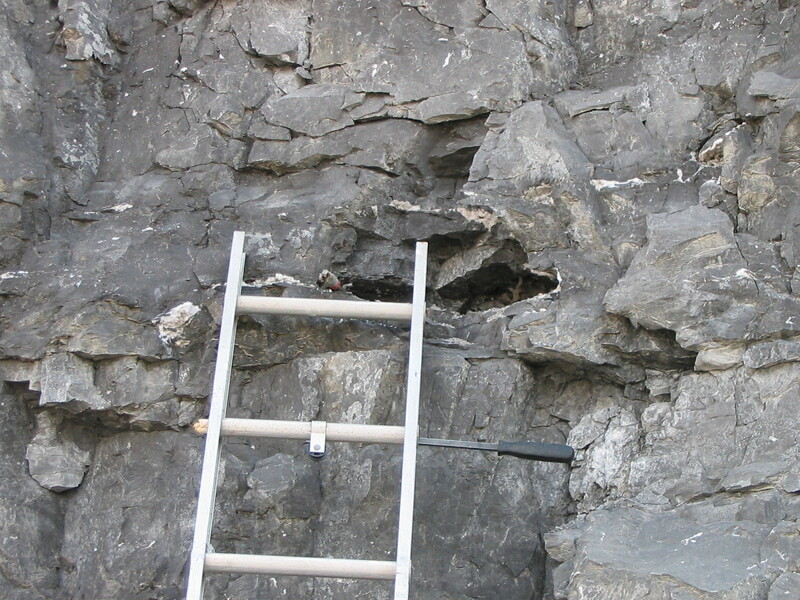 Some cavities are up to 2 meters across and several meters deep. 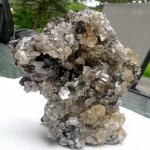 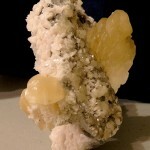 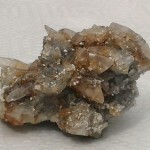 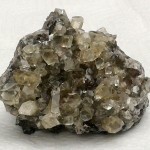 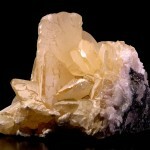 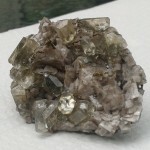 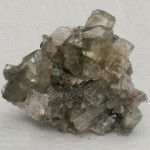 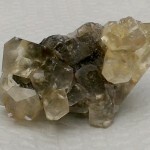 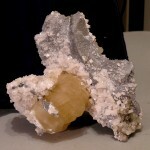 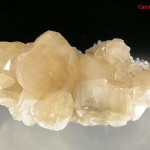 Associated with Dolomite, Calcite and Quartz are: Pyrite, Baryte, Sphalerite, Galena, Chalcopyrite, Nacrite, Anatase and Gypsum. 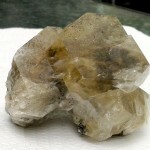 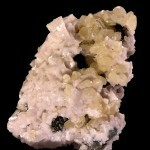 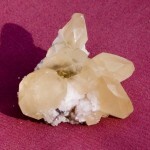 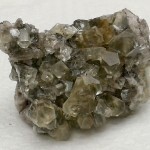 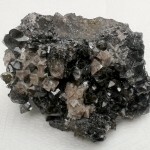 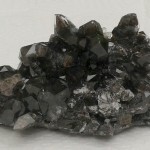 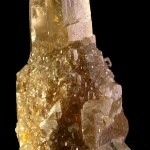 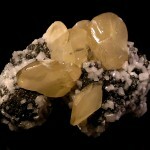 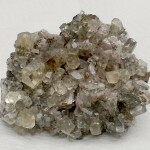 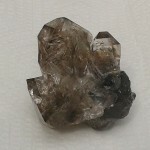 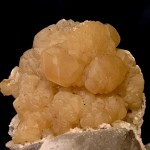 These minerals occur more sparingly, and as much smaller crystals.